THIS is another essay I did for my Literature in Film class at Salisbury University, this time comparing the book, The Talented Mr. Ripley written by Patricia Highsmith to the movie directed by Anthony Minghella. I got a pretty good grade on it, as it details some drastic changes in the two narrative styles. If you have seen the film or read the book, give it a read, and if you haven’t done either, you should probably watch or read both. This is a great story about a dark character and real human drama. Tom Ripley (depending on the medium) is a young man who lives in New York, tricks people out of money, and then does whatever he likes, getting his fix by being mischievous. With an almost Holden-Caulfield like view on society, he only ever enjoys a few people. The thriller was written in the 1950’s, and focuses on themes that might not have been…popular at the time, such as identity theft, European vacationing, and of course, homosexuality. Tom goes to Europe to bring back the son of a wealthy aristocrat, only to become psychotically attracted to his way of life. So…he steals it. See (or read) the drama for yourself, the suspense is also QUITE a rush! “‘Pardon me, are you Tom Ripley?’” Herbert Greenleaf asks the protagonist Tom this initial question on page four of Patricia Highsmith’s thriller novel, The Talented Mr. Ripley. In the first of many two-faced conversations and hidden agendas Tom comes across, the novel starts out with a question he answers with complete honesty. This prompted encounter, in which Herbert Greenleaf was looking for Tom by name, differs from the alternative reality presented in the film version written and directed by Anthony Minghella: a chance encounter brought on by Tom borrowing a Princeton University jacket. The start of the first major part of both stories- Tom’s life in New York prior to embarking to Europe is radically different depending on the creative outlet. 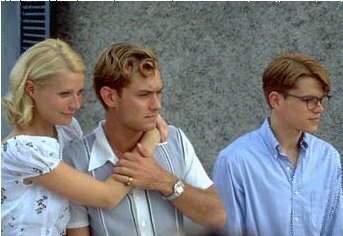 Thus, while his lifestyle is similar, the characteristics of Tom Ripley from the opening of the novel and the opening of the movie are both diverse enough to lend an audience two complete interpretations of the character through his interactions with other characters and his own isolated scenes of exposition. The film starts out with Tom playing the piano to a lovely operatic tune, in which a close up slowly reveals that he is sitting in a bedroom with eyes full of pensive regrets. Matt Damon puts great effort into giving a very unreadable look to Tom Ripley- the character constantly appears as if he’s thinking about what the audience will expect him to, but then when he speaks, his lies begin to snowball, such as in the first scene with the Princeton Jacket and the Greenleafs. Tom is asked about Princeton and their son, Dickie Greenleaf. He appears completely oblivious to what they are talking about, however his words of response are “How is Dickie?” He is completely prompted by the parents to have already known Dickie in a case of somewhat mistaken identity. In the novel, however, Mr. Greenleaf has been looking for him, and Tom actually remembers Dickie from a personal encounter. At this point the reader has a greater opportunity to get inside Tom’s head. In one self-monologue Tom describes how he may have been recommended by a man he worked for as an accountant- a job that was never mentioned in the film. Tom says “Charley could have told Mr. Greenleaf that he was intelligent, level-headed, scrupulously honest, and very willing to do a favor” (6). Tom quips to himself how the compliments were erroneous, however he holds this back from Mr. Greenleaf in favor of asking questions, rather than turning him down immediately. This one introspective thought already sets a ball in motion different from that of the film, in that Tom is a scheming and poor man with intelligence and cunning that helps him to survive a desperate lifestyle. This can also be seen when he describes his current occupation of conning people into paying extra taxes as an activity that causes him much joy, to the point where after conning a complete stranger out of over 200 dollars, “Tom sat there for a moment, giggling, with his thin hands pressed together between his knees” (16) as if he were a conniving school-boy. In the film, making the acquaintance of both Mr. and Mrs. Greenleaf on the rooftop party is a grand deviation from the seedy bar Mr. Greenleaf chases Tom into in the beginning of the novel. 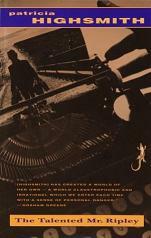 He is at the top of the world in Manhattan, shown playing a piano, a talent not really expressed within the first forty pages of the novel that detail his lifestyle in New York City. His musical empathy is a trait highly referenced in the first major act of the film. The writing and direction of the film, especially in the opening scenes, accompanied by Matt Damon’s portrayal, lend Tom to be a sympathetic character- someone for the audience to care about and hope for. One scene that provides a dimming wink of hope for the character is when Tom is sitting in the theater he works for, playing the piano after hours, only to be interrupted by one of the janitors and shooed out of his one seemingly sanctuary. It is obvious that this version of Tom has hopes and dreams, which are expressed in the novel, however only later out of anger, in which Tom had “wanted to be an actor…” and how he “thought he had the necessary talent…” (38). These failed dreams of his in the novel are always focally placed on a very specific character omitted from the film: his Aunt Dottie. The character of Aunt Dottie in the novel causes the greatest deviation in what the audience gets out of Tom Ripley from a two hour movie and a 300 page novel. For a film that ends up displaying a savagely alone character committing murder out of desperation and fear, the motivation for such heinous acts seems to be missing: His motivation to do anything dastardly from Matt Damon’s portrayal doesn’t even seem to exist until he’s backed into a corner by Jude Law’s loathing Dickie Greenleaf character. Of the characters adapted to the film, in the opening sequence Tom only meets or mentions a few from the original novel. The Greenleafs, and perhaps some of his noisy neighbors are the only ones physically presented. Tom in the novel, however, references at least a dozen other characters, including his parents, the people he’s stayed with, a woman named Cleo Dobelle, and his dreaded Aunt Dottie. Tom’s feelings towards Aunt Dottie boil down to his memory of the only goal he had in life as a child: “to run away from Aunt Dottie, the violent screams he had imagined- Aunt Dottie trying to hold him in the house, and he hitting her with his fists, flinging her to the ground and throttling her, and finally tearing the big brooch off her dress and stabbing her a million times in the throat with it” (39). Throughout chapter six of the novel, Tom goes on about how it had been Aunt Dottie who held him back and caused him to be such an unsuccessful person. He has true hatred in his heart for this woman, and a long-lived lifestyle of deserving vindication for never knowing life outside of her rule. Tom’s motivation and ability to live life without a conscience in the novel can be solely attributed, even quite possibly admitted by the character himself, to his childhood being raised by Aunt Dottie. The different person presented in the film then is Matt Damon’s portrayal, even when confronted by the janitor in the theater, crashing down upon his one, singular attempt to feel as though he can strive higher, is an apologetic young man who has a tendency for feeling bad for the trouble he could cause others. He has guilt and a conscience, clearly from these few moments. His lie then is most likely motivated by seeing a slim chance at a better life. By the end of the opening credits, which oddly enough last the entirety of the opening ten minutes, the audience of the film sees Tom as a kind hearted person who’s only taking advantage of what seems to be the best offer he’s had in years. He’s still strange and peculiar in his need to please others, but he certainly doesn’t seem like a bad person. Forty pages into the novel, however, the reader can conclude Tom gets a thrill out of being devious, has a penchant for being underhanded, and even could lean towards being a completely psychopath after his life growing up with a woman who only motivated him to escape with a murderous finale to their relationship. Thus, the difference in the film and the novel is what kind of transformation the respected Tom Ripley will go through by the end- will he be a kindhearted man who was driven away by people who he thought loved him, or will he end up only unleashing his murderous potential upon those who lower his own perceived self worth? Either way, his story ends with murder, but the beginning of it shows that in the film’s reality, Tom had a chance to be healthier. 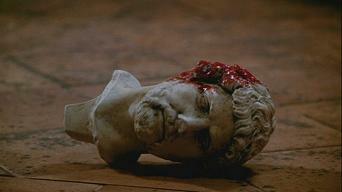 The novel’s reality creates a killer from the outset. The Alleged Mr. Ripley by Dylan Hintz is licensed under a Creative Commons Attribution-Noncommercial-No Derivative Works 3.0 United States License.